An Iraqi Yazidi family from the al jazeera village in Sinjar arrives at the Bajid Kandal camp after spending four days at the Nowruz camp in Syria before crossing back into Northern Iraq, August 17, 2014. 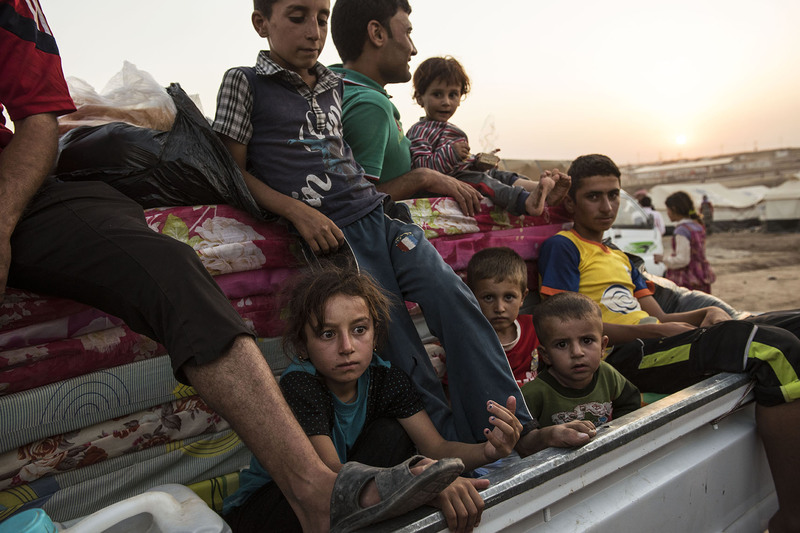 Since fighters with the Islamic State started pushing through Iraq and murdering and terrorizing thousands of civilians, hundreds of thousands have been displaced from their homes across the country. The United Nations is beginning its largest humanitarian aid distribution in a decade.